While my father lay ill in Texas I had to keep touch by phone. During some of these dark days I created two quilts. One for me, one for him. Daddy's Bouquet was another challenge quilt. Every time I see it I remember the intense emotions that were in my life at the time. This watercolour quilt was patterned after a photo (bouquet in a vase on a table- squint if you can't see the picture) on a birthday card, machine pieced and hand-quilted. It's odd how quilts end up representing a piece of your life. 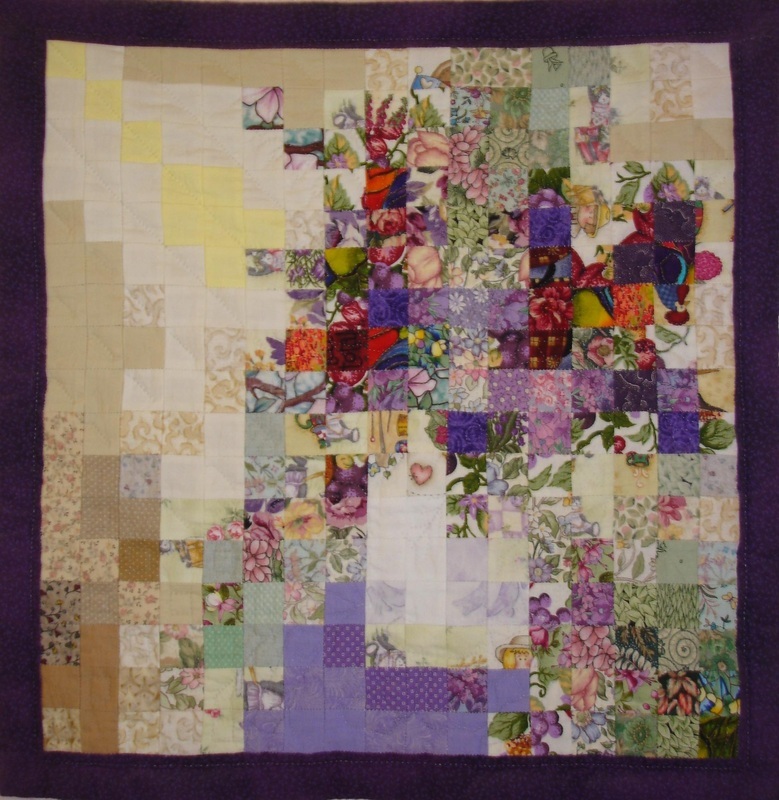 Quilts stitch together more than just fabric, some hold the thoughts we were thinking while making them. A tactile diary of our feelings in colour and texture.